Probate is a court process for gathering the assets of a person who has died, paying his debts and distributing the remaining assets to his beneficiaries. Florida statute 735.301 authorizes an informal probate process if the deceased leaves only assets that are exempt from the claims of creditors, including up to $20,000 in household furnishings and two motor vehicles. To start an informal probate process, an interested party simply files a letter or affidavit with the county court where the deceased resided. The court can authorize the payment or disposition of the decedent's personal property to those who are entitled to it. The process can take as little as one month to complete. Formal probate begins when a will is filed with the appropriate county court. If a personal representative is named in the will, he will be appointed officially by the court. The personal representative's basic duties are to gather up the decedent's assets, publish a notice to creditors in a local newspaper, conduct a diligent search to locate creditors, pay valid claims and funeral expenses, file and pay any federal and state taxes, distribute the remaining assets to beneficiaries and formally close the estate. Some of these tasks may take months. If the deceased owned real estate, for example, it could take a long time to sell it. In Florida, a formal probate for a simple estate takes a minimum of three months because the personal representative must give creditors 90 days to file claims against the estate after notice is published in the newspaper and sent to known creditors. When creditors file for payment, the personal representative can challenge those claims, which can drag out the probate process since the probate court will have to resolve the dispute. As a result, this process can take up to six months to complete. The probate period needed to administer large estates can last for more than two years. 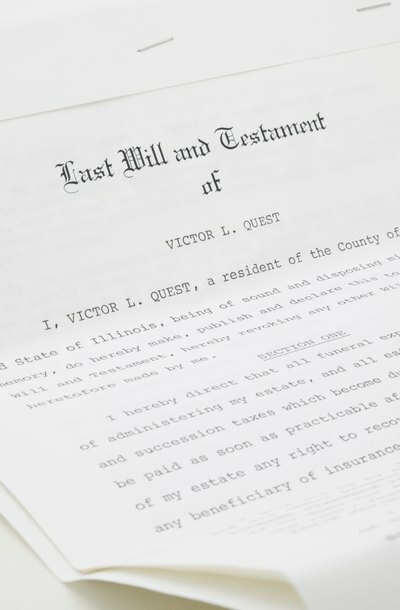 If the estate does not have to file a federal estate tax return, the law requires the personal representative to wrap up the affairs of the estate within 12 months of his appointment. However, the time period can be extended by the court. If a federal estate tax return is required, it is due nine months from the death date; a six-month extension is available. After that, the personal representative has another 12 months from the date of the federal estate tax return to complete the probate process. This date also can be extended by the probate court. Under Florida statute 5.025, an estate's beneficiary has 90 days to contest the will after he receives notice of his beneficiary status from the personal representative. There are a number of grounds for challenging a will -- improper execution, undue influence, fraud or duress. The deceased also must be of sound mind to execute a valid will. Challenges by beneficiaries are likely to lengthen the probate process.